I specifically chose to spend a few time with the chronograph as this version got much less coverage than its three-handed counterpart. Besides, I will be honest, in the first hours of wearing it, and I did not like its proportions very much at all. It was sitting high and large on the wrist, very far from the vintage dimensions with which I spend more time. Yet, it is something you get used to soon; in a matter of days I had forgotten about it, especially since the blue dial often took the light in various beautiful ways. Here, the horizontal pattern does look very Patek (in a good way) and it definitely reminded me of the bracelets on those earlier models of which I am very much interested (though that might be more personal than anything). The round chronograph registers on the non-round dial are a big plus for me here – and, as an added bonus, they make me remember of the toy robots from my childhood. The one thing I remained disappointed in was the bracelet; it felt a bit slim for such a case, and the finishing was a little rough. Then again, the price positioning might justify a sort of trade down in the bracelet department. What’s more, it is not fully integrated, so a switch to a strap is always a nice choice. There was one place where I could tell no concession was made: the chronograph movement. Its operating was clean and precise, and the layout was highly legible. Note that the caliber model from Piaget replica bears a striking resemblance with the 1904-CH MC from Cartier, much as the 1110P of the time-and-date seems close to the Cartier 1904 MC, possibly showing some synergy between the two Richemont-owned brands (an ultra-thin Piaget caliber can also be found in the new slim Cartier Drive, for what it’s worth). The last thing about the chronograph gets even more geeky is that the feeling might not be shared, but I loved the round sub-register shape in the square-ish case, as it reminded me of the smiley robots I used to play with as a child. Now that I’ve said that, can you un-see it in this watch? I didn’t think so. After a week of wear, I exactly have a better understanding of the merits and shortcomings of the chronograph. Far from being a disappointing watch, it is a very interesting release from Piaget at a different price point that, all things being relative, offers a new audience access to the brand. This watch makes total strategic sense, entering the sport-chic segment where the Royal Oak and Nautilus are blossoming, though again at a lower price for a different customer. But, while it’s a piece of strength in some ways, this is also the greatest weakness in the eyes of the purists. It feels like a “safe” watch, adding nothing new and taking no real risks. 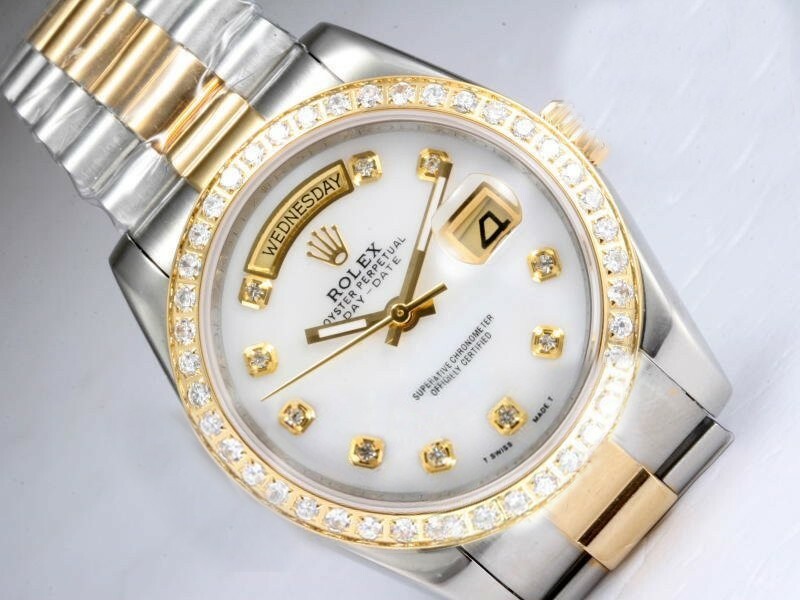 As such, it falls below what we would have expected from the fake Piaget of the 1960s, ’70s, and ’80s, which did not shy away from offering radically different pieces from the competition, from the slim cheap replica watches with hard stone dials to the original watches. Apparently, different times need different sizes, but it absolutely explains how a self-proclaimed “game changer” disappointed quite a few when released. However, I have to stress two things after my time with this watch: First, it really is a game-changer for the Piaget replica watches, if we look at it from a business strategy and long-term-growth perspective; and second, the criticism is coming from seasoned collectors who are not in any way the original target for the to start with. Time will tell if the (time-and-date and/or chronograph) will find its market and have the same effect on Piaget that the watch had throughout the 1980s. At the very least, it will be interesting to observe.